New customer? 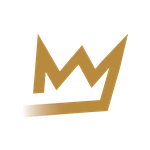 Welcome to RSVP Kingz! We are the leading AutoCheckout service in the sneaker industry. Looking to secure a limited sneaker or apparel item online? We do all the work for you on release day. Order a slot for the sneaker/item you would like to secure. We will completely automate the buying process for you while you stay fast asleep on release day.